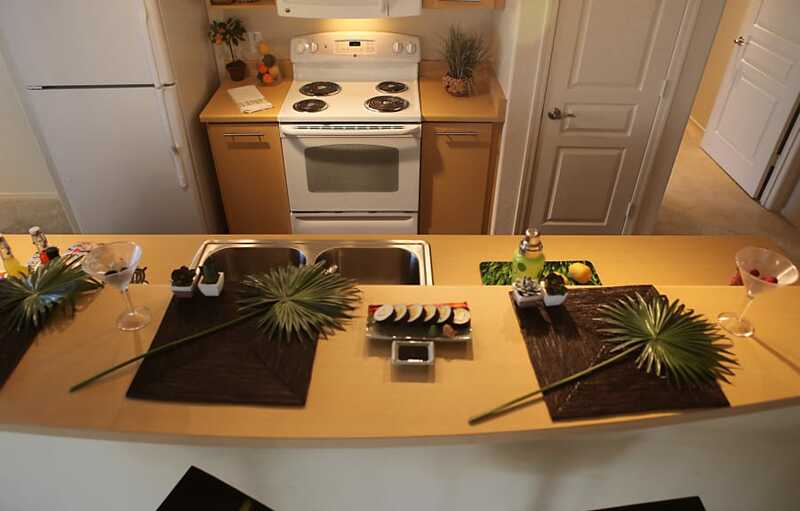 Our buildings and apartment homes feature distinctive design and thoughtful floor plans, while our community engages your mind, captures your heart and offers truly enlightened living. Stroll our grounds and behold stunning desert vistas. Ascend to our elegant rooftop solarium located on the second floor of our resort style community center. Host your guests for an outdoor barbecue using our outdoor kitchen with stainless steel grills, all while enjoying a perfect sunset over the mountains. Spend Saturday afternoon meeting new friends as you lounge comfortably around one of our two saltwater pools with multiple fountains and underwater lighting. Have a great workout in our ultra-modern fitness center featuring Precor equipment and personal televisions. You can have a massage, practice yoga, pilates or t'aichi and then take a healing soak in our outdoor spa. Work from home? No problem with our executive conference room including individual workstations equipped with Mac computers for your convenience. 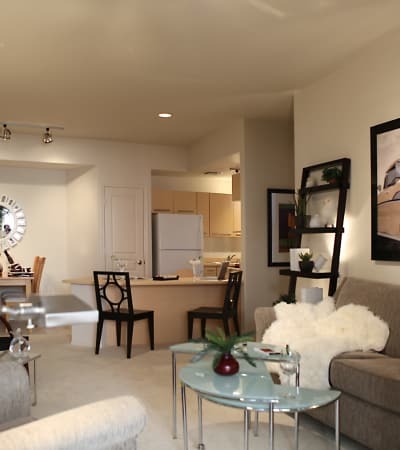 Our one, two and three bedroom apartments have superior layouts with a surprising amount of space and amenities in each floor plan. Each residence includes a private entry with intrusion alarm, a patio or balcony, a gourmet kitchen with GE appliances, maple cabinetry and dark walnut plank flooring and full-size washer and dryer. 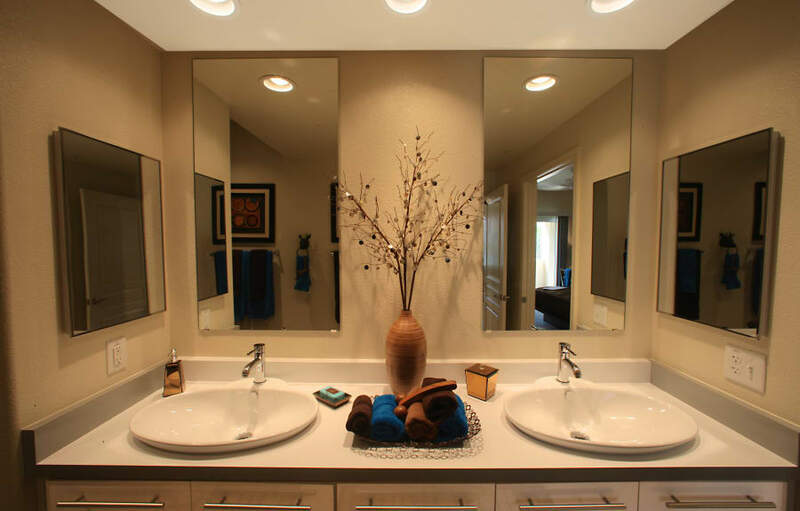 The bathrooms have oversized Roman soaker tubs, white cabinetry, porcelain tile and vessel sinks. 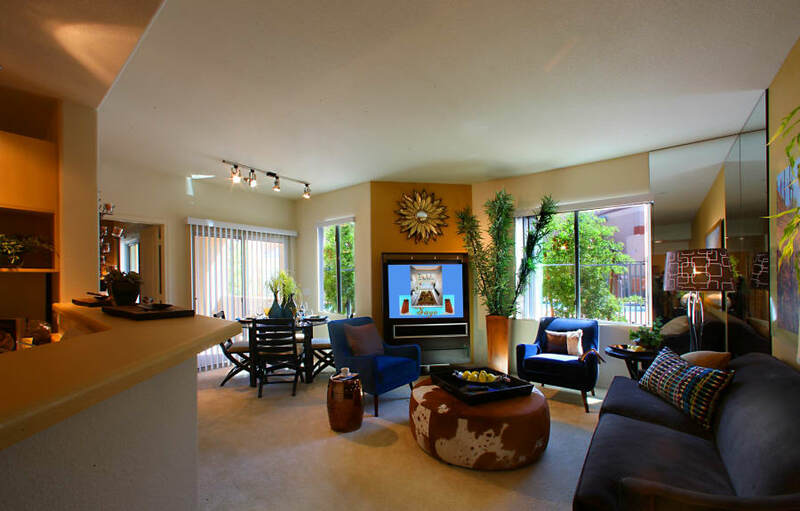 Sage Apartments is the perfect place to relax, unwind and enjoy the beauty of your new home. 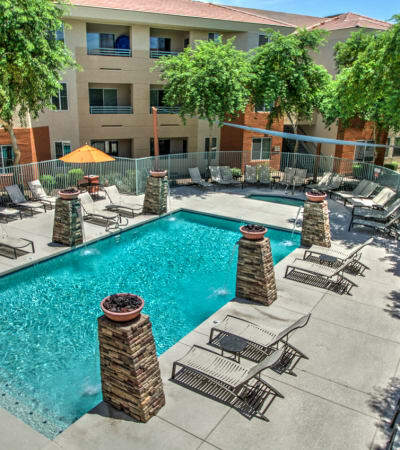 With extraordinary features and unparalleled amenities set in the hub of North Phoenix, Sage connects you to comfort and convenience every day. 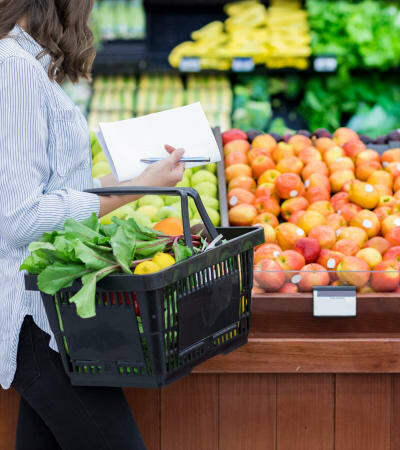 For those who are a chef at heart and want to enjoy their own gourmet kitchen, you will find Safeway, Walmart and Fry’s grocery stores within just a few minutes commute. If eating out is more your style, take a leisurely stroll at The Shops at Norterra and find plenty of great restaurants as well as fine retailers and organized community events. Have a love of the outdoors? Hike the nearby Sonoran Preserve offering over 18,000 acres of beautiful desert views with three trailhead locations and access to 36 miles of hiking in the unspoiled Sonoran desert. Golfers can take in a beautiful morning on the links at Dove Valley Ranch Golf Course or Rancho Manana Golf Club. 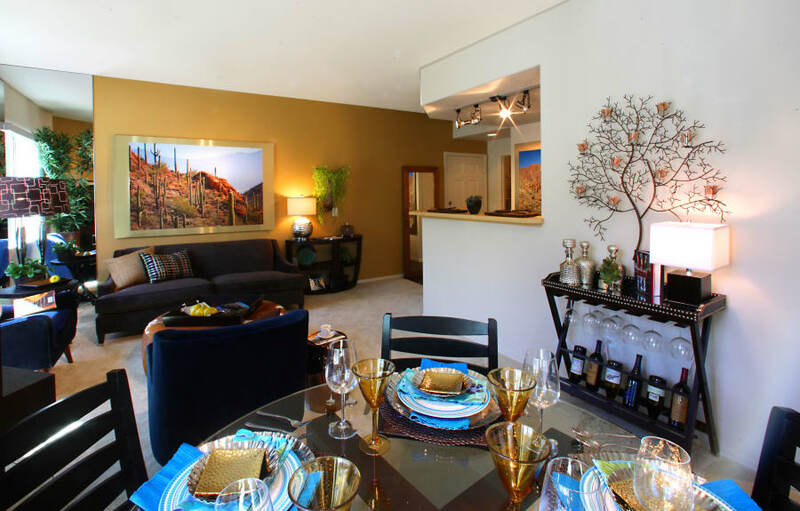 Commuters will also appreciate the easy interstate access to I-17. 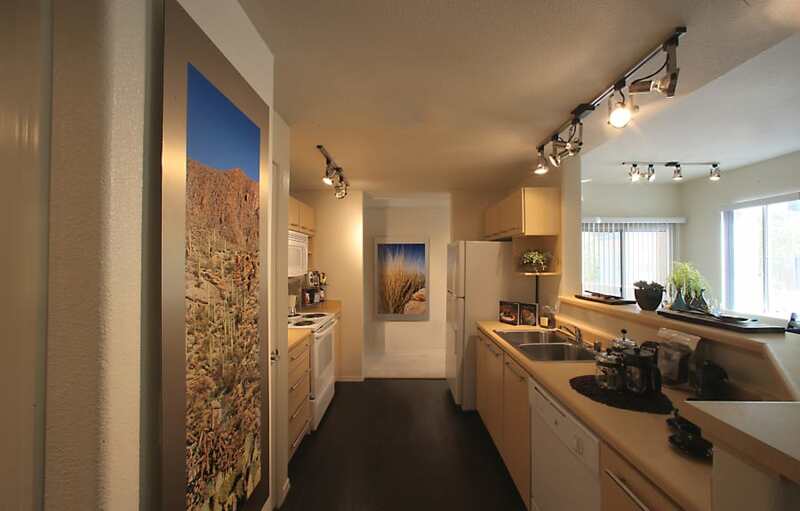 At Sage, you will enjoy your new home as well as everything that the north Phoenix area has to offer. 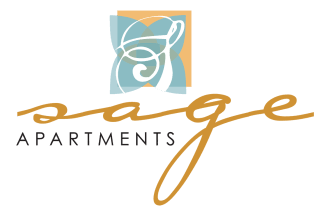 At Sage Luxury Apartment Homes, we love your pets almost as much as you do and are thrilled to welcome pets in our 1, 2 & 3 bedroom apartments in Phoenix, AZ.